We recently assessed a user “Richard” for an aid to make it easier to directly access his iPad. And in our journey to find a solution, we trialled the Stylus Pack from the National AT library. The Stylus Pack is a selection of styluses suitable for a wide range of needs. Each stylus is designed for people who have difficulty interacting with the iPad screen. Users can firmly grasp the styluses in order to use with the iPad. 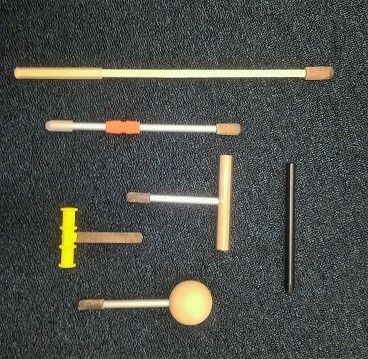 These items are suitable for an individual user, or a range of users with diverse needs. Features/Items Included: iPad Flex Stylus iPad Strap Stylus TBar Stylus Pogo Stylus Ball Top Stylus. Richard is non-verbal and uses the Allora communication aid daily. It is mounted onto his powered wheelchair. 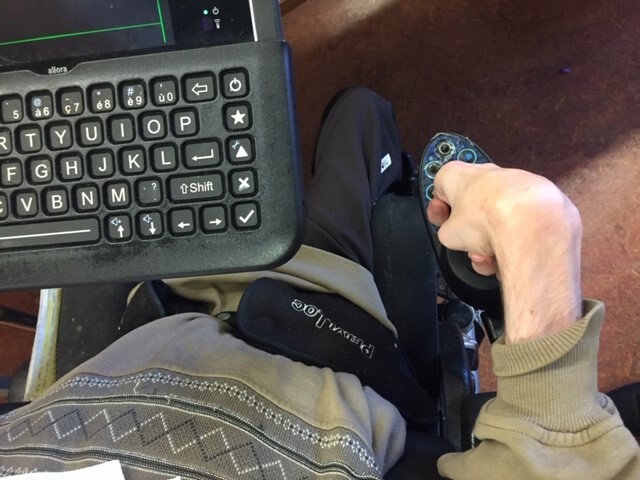 Richard drives his powered wheelchair with his right hand and also accesses the keyboard on the Allora with his right index finger. He has a limited range of movement of his right upper limb, but it is also his only means of access. Richard’s wheelchair does not have blue tooth capability. Photos below by the author with consent by Richard. Richard is also a writer and accesses a PC by using the standard keyboard (positioned in a specific way on a height adjustable desk) and using mouse keys instead of an external mouse or joystick. So this gives you an idea already that Richard has more than one way of accessing technology with his right hand. So why does he struggle with direct access on the iPad? Richard’s fingernail bed is very long. And even when his nails are at the shortest it can be it sticks over the top of his fingers. Therefore when he taps onto the screen, his nail makes contact and not his skin. This, along with very limited finger extension (he has strong flexor patterns in his wrist, metacarpal phalangeal joint and distal phalangeal joint) makes activating a touch screen very difficult/impossible. But we wanted to try and find a solution as he has a (very old) iPad that he would love to use more as it is portable, as opposed to a PC. Due to Richard’s limited hand function, unfortunately, none of the items in the Stylus Pack proved to be successful. The standard type pen stylus aids looked promising and the stylus we received as a freebie from the CSO in Cork is up to now the most successful. 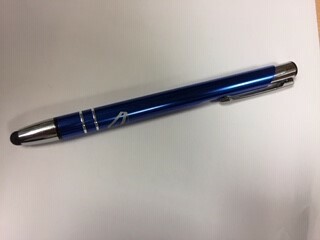 When I returned the Stylus Pack to the National AT Library I also added a CSO stylus into the pack. It takes great effort from Richard to maintain grip of the stylus and when it slips out of his hand he is not able to pick it up again and adjust his grip independently. Not shown on the Stylus Pack photo is also conductive thread. I did embroider his winter glove’s right index fingertip with the conductive thread but I am yet to see if this is successful. Past trials have shown limited success. Richard loves his Allora and of course wants to continue to use it. It is a real workhorse. The battery lasts for long periods, it is at hand, no wifi needed and no access issues on that keyboard! But, he really longs for a more portable way and quick access to word processing, the internet and social media participation. In the meantime, we have assessed Richard for a new moulded seat and powered wheelchair frame. This controls on the frame will also have blue tooth capability. I chatted to Richard about this and reminded him that he will be able to access a PC or laptop/tablet via the new powered wheelchair’s joystick. And as it is, he is toying with the idea of buying a new computer/tablet to replace the old iPad anyway. * Richard continuous to use his Allora for communication. * Uses a PC with an external keyboard to access word processing software, the internet and social media. * Uses the CSO stylus for accessing the iPad mounted off a removable mount. This for now, it the alternative for when he is not close to a PC. Having to hold onto a stylus remains a frustrating way of access. 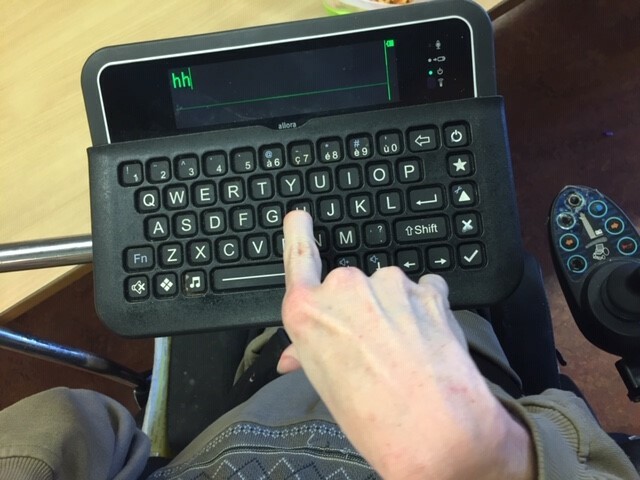 *Once Richard’s new powered wheelchair has been funded and issued, Richard will get used to the new joystick for driving, but also for accessing computers. *He will continue to use his beloved Allora and PC as always. *And after investing in a new tablet computer he will have the added bonus of accessing it via the powered wheelchair’s Bluetooth function. We are on the right track and without having been able to trial the options, we would never have known. Therefore the National AT Library remains a great resource!